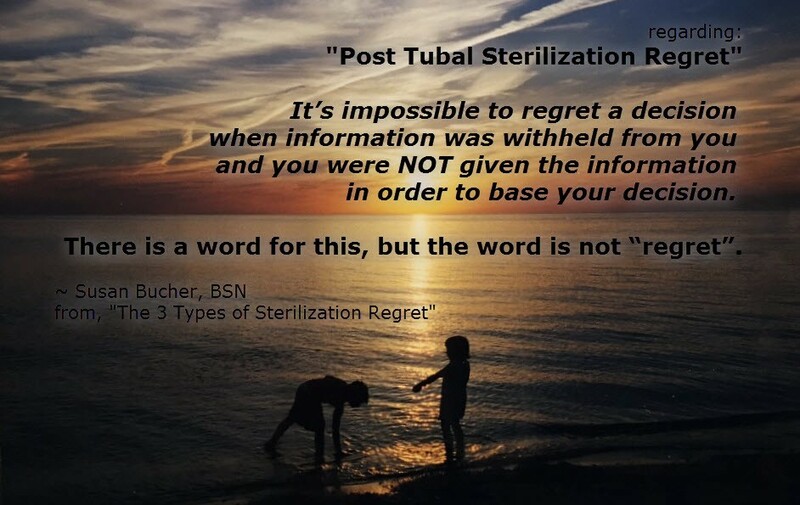 One side effect of female sterilization that all women are informed of is that of “regret”. 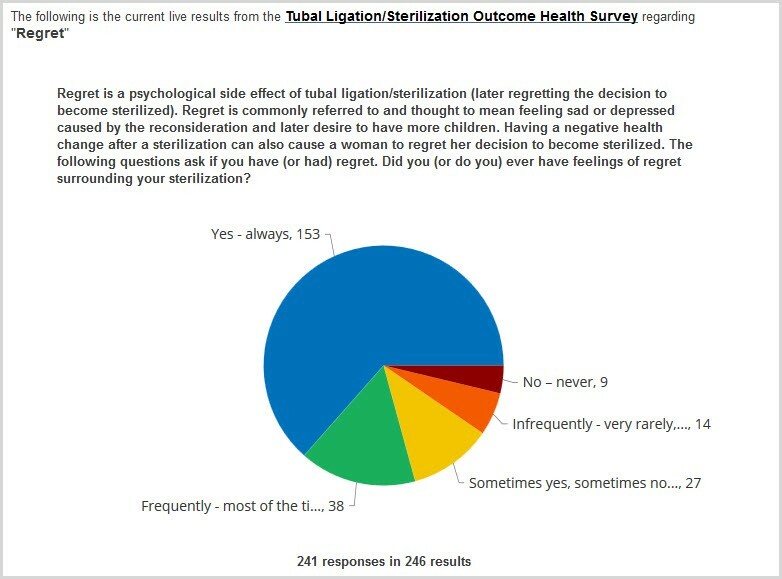 Many women suffer from regret after sterilization because they later do desire to have more children. Regret could also mean regretting how undergoing the sterilization has changed ones health. 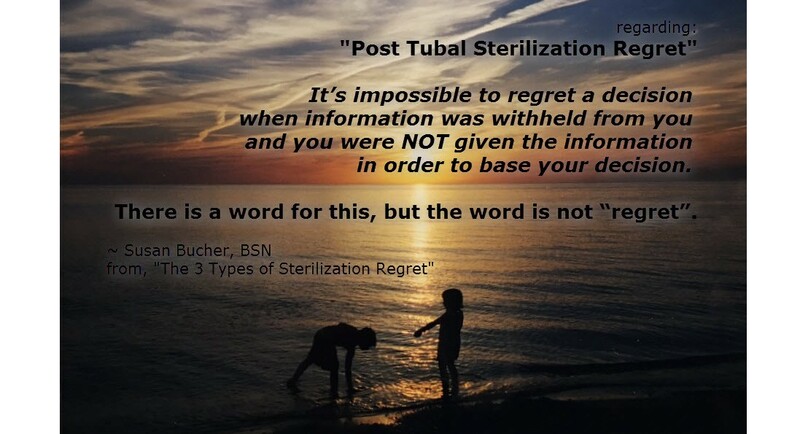 I have often hear women state, “I regret having had the tubal because of what it did to my… health… libido… life, etc…” Then in the next breath they state, “I wish I had know this information before my sterilization”. What these women don’t understand is calling this “regret” is a misnomer. The term regret infers self-accusation, self-condemnation, and the blaming of oneself. It’s impossible to regret a decision when information was intently withheld from you and you were not given the information in order base your decision. There is a word for this, but the word is NOT “regret”. The truth is, because of an abuse of professional/corporate power and medical/corporate malfeasance (wrongdoing) these women in fact became victims of fraud and abuse. The abuse then escalates and occurs on many levels but it all starts with the same action which is that of information being withheld. 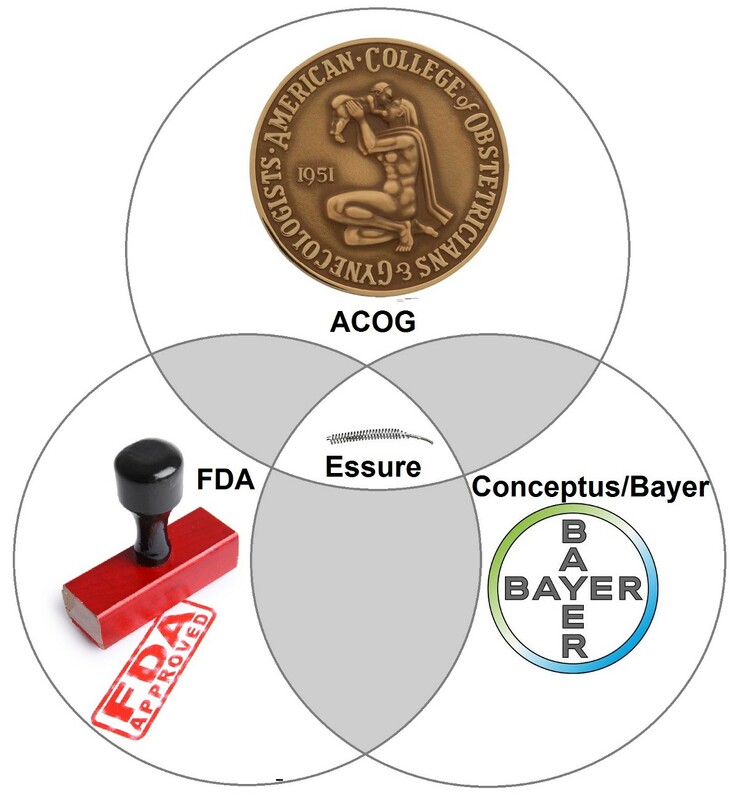 When it is learned and understood that information is withheld about negative physical and hormonal side effects known by the medical community (and the manufactures of products/drugs) as post sterilization syndrome (PSS) and post implant syndrome (PIS), it becomes evident and clear that consent is given under false pretenses. 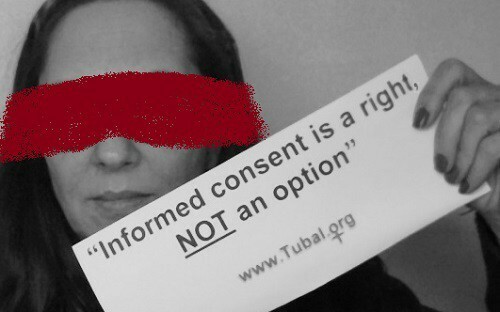 Withholding information constitutes forced (fraudulent) consent = battery. Women in the U.S. are lead to the operating table metaphorically with a blindfold on. Women in the USA today when learning that information was withheld from them do not immediately equate this to having been a victim of physical assault and battery… nor completely understand that they were forcibly sterilized. This might be because they were not carried away forcibly to the operating table kicking and screaming. Women in the United States are lead to the operating table metaphorically with a blindfold on. 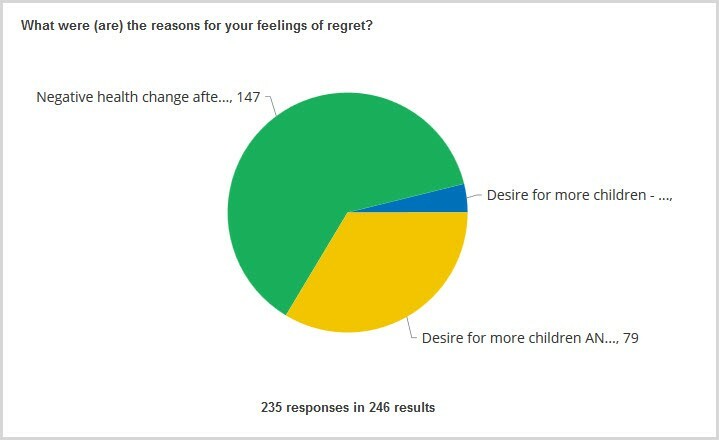 The third type of regret is the regret one has for not doing more to change the situation for future generations. The (future) regret of not speaking out, of not reporting what occurred or what is occurring, for not working to change the laws, etc…. The regret of not doing anything to end this “cycle of abuse”. The Campaign to Inform. 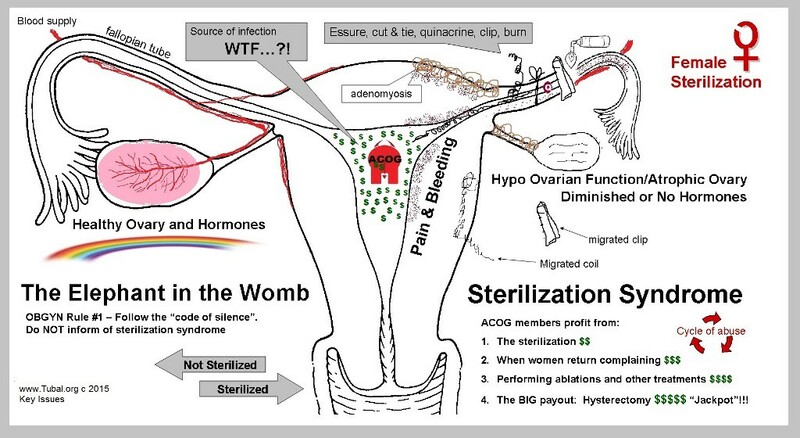 Post Tubal Ligation Syndrome, PTLS, Essure, Filshie Clips Side Effects.